Hi Andy is it necessary to copy entire link which is shown in text link? I mean there is also image tags etc… can’t we just copy HREF element within double quotation? I just start a website, so what will be the advice to get approved by Udemy. Also, I want to see how I can paste the code on my website! 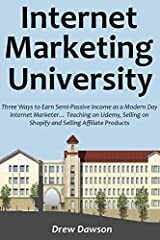 What is the requirement to get approved on udemy affiliate program? Post your affiliate links on http://www.coupon2learn.com to get students. do they pay via paypal and payoneer? do I need to create an account in linkshare as well? So it’s not possible to get a Hop-link like on Clickbank?